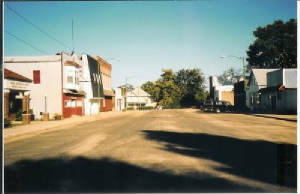 Neponset (population 473) is located in the southwest portion of Bureau County on U.S. Route 34 approximately 7 miles east of Kewanee. Neponset today is known for its biggest employer, Martin Engineering. 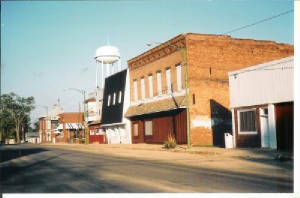 The village was originally established in 1836 about one mile north of its current location. 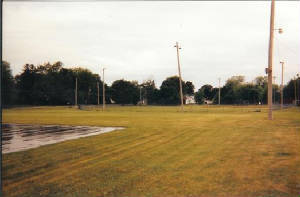 There are currently markers that identify this location near Blake Farms. 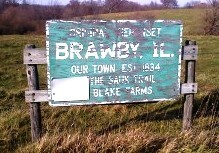 The town was named Brawby by William and Ann Studley. 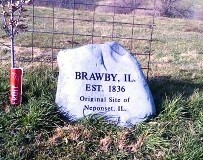 It is thought this was the name of their town in their native England. In about 1866 the town name was changed to Neponset by railroad agent Myron Lee when it was moved to its current location along the Central Military Tract Railroad line that had been laid through the area. 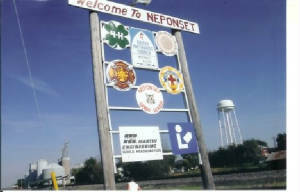 Lee named the town after his hometown of Neponset, Massachusetts which is now a part of Boston. Neponset is thought to be an Algonquin "Indian" term for "place of small summer." 'Left Click' on photo forlarger view. 'Left Click' on photo for larger view. A high school was established in the mid-1870s; and the first graduates of the school, Emma Moore and Laura Emery, graduated in 1878. The brick high school building was built in 1926. 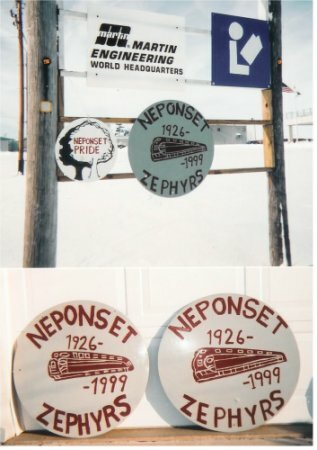 The school sports teams were named the "Zephyrs" after the infamous train that made stops in Neponset several years ago. The high school was always small in enrollment compared to those schools around it, however its athletes were known to be fierce competitors. The enrollment fluctuated from the high 30s to the low 80s. 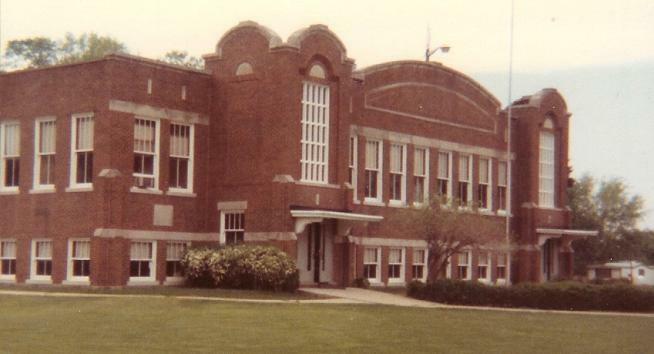 The boom time in Neponset was the late 1960s and 1970s when class sizes reached as high as 22 students and total enrollment reached the low 80s. For most of the rest of NHS' history class sizes ranged from five to the high teens. Enrollment and financial hardships finally took their toll and high school was deactivated in 1999 (ironically graduating one of the biggest classes in NHS history, 22 students). The high school aged students had their options of attending a number of nearby high schools. 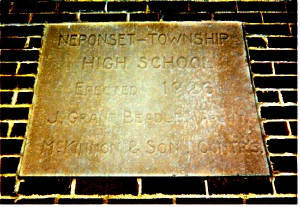 This changed when the Neponset School District merged with the Kewanee School District. The former high school building still stands proudly in town, now used as a private residence. The grammar school in Neponset has consolidated with nearby Kewanee. 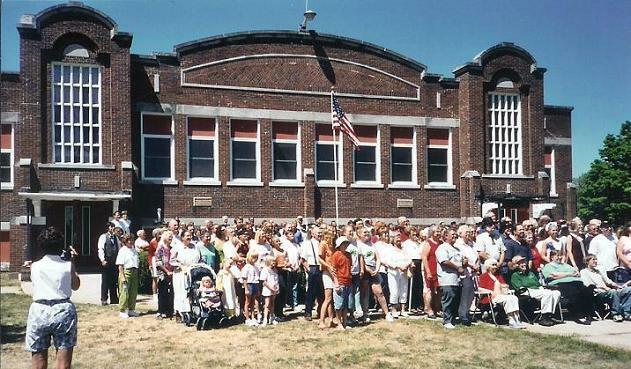 The former Neponset Grade School now serves as a grade school for classes of the Kewanee School District. Neponset High School "Quick Facts"
To you we're always true! The boys basketball program enjoyed many successful seasons. The team enjoyed its best success in the mid-1960s grabbing three District Championships. In all the Zephyrs won four District titles. One of the best players to grace the hardwood for Neponset was Roger Cannon. His 51 points in a January 4, 1965 game against Lyndon is the school record. Records of the teams and names of the coaches are not currently available. The Zephyrs enjoyed some good success in the 70s also. If anyone can provide further information regarding the Zephyr boys basketball program please complete a school submission form. The best Zephyr seasons are listed below. 1938-39 Postseason scores, record, and coach's name needed. 1941-42 Postseason scores, record, and coach's name needed. 1942-43 Postseason scores, record, and coach's name needed. 1947-48 Postseason scores, record, and coach's name needed. 1949-50 Postseason scores, record, and coach's name needed. 1952-53 Postseason scores, record, and coach's name needed. 1953-54 Postseason scores, record, and coach's name needed. 1954-55 Postseason scores, record, and coach's name needed. 1955-56 Postseason scores, record, and coach's name needed. 1956-57 Postseason scores, record, and coach's name needed. 1960-61 Postseason scores, record, and coach's name needed. 1964-65 Postseason scores, record, and coach's name needed. 1972-73 Postseason scores, record, and coach's name needed. 1973-74 Postseason scores, record, and coach's name needed. 1974-75 Postseason scores, record, and coach's name needed. 1977-78 Postseason scores, record, and coach's name needed. 1978-79 Postseason scores, record, and coach's name needed. 1979-80 Postseason scores, record, and coach's name needed. 1980-81 Postseason scores, record, and coach's name needed. 1981-82 Postseason scores, record, and coach's name needed. 1982-83 Postseason scores, record, and coach's name needed. 1983-84 Postseason scores, record, and coach's name needed. 1984-85 Postseason scores, record, and coach's name needed. 1985-86 Postseason scores, record, and coach's name needed. 1986-87 Postseason scores, record, and coach's name needed. 1987-88 Postseason scores, record, and coach's name needed. 1988-89 Postseason scores, record, and coach's name needed. 1989-90 Postseason scores, record, and coach's name needed. 1990-91 Postseason scores, record, and coach's name needed. 1991-92 Postseason scores, record, and coach's name needed. 1992-93 Postseason scores, record, and coach's name needed. 1993-94 Postseason scores, record, and coach's name needed. 1994-95 Postseason scores, record, and coach's name needed. 1995-96 Postseason scores, record, and coach's name needed. 1996-97 Postseason scores, record, and coach's name needed. 1997-98 Postseason scores, record, and coach's name needed. 1998-99 Postseason scores, record, and coach's name needed. 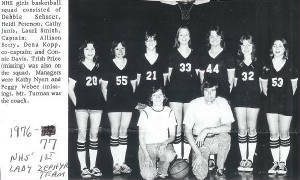 Girls basketball captivated the town in the 1980s and early 1990s. With hometown product Chuck Blake leading the charge, the Zephyr girls touched the hearts and imagination of every small school in the area, and probably northern Illinois. The Lady Zephyrs won eight Regional titles in one ten year span between 1984 and 1994. Included were three straight Sectional titles and subsequent trips to the Sweet Sixteen. The Neponset kids were not afraid of anyone. Included in their seasons were trips to Chicago to play in "shoot-outs" with AA schools. One of the great Lady Zephyrs stories comes with "David vs. Goliath" type proportions. 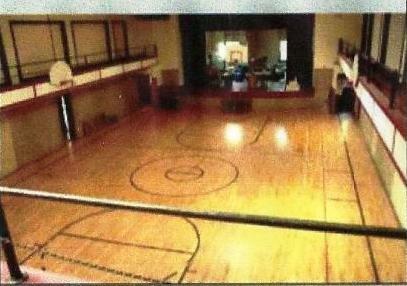 The Lady Zephyrs invited then powerhouse Westchester Immaculate Heart of Mary to play in the Zephyr home gym in the 1992-93 season The IHM girls were in the midst of their own "hey day" having won a State Championship in 1987 and 8 straight Regionals in the tough Chicago-land area. The IHM girls were coached by their own future Hall of Fame coach Dave Power. The Neponset girls, who were all "born in a small town", pulled one of the biggest upsets of the year by defeating the IHM team. What a story when Neponset's enrollment probably did not exceed 70 students while IHM was likely hovering around 600 - all girls! The Zephyr girls basketball team accomplishments, as listed on the IHSA website, are in turn listed below. As you can see, several team records are needed. If you have further information please write to us at eganann@sbcglobal.net. .
Lost to Seneca 58 - 53, Seneca evetually finished 2nd. Lost to Gibson City 59 - 53, Gibson City eventually finished 3rd. According to the IHSA web site (www.ihsa.org) the Zephyr thinclads had one individual bring home medals from the state track meet. The years were 1926 and 1927 when a male athlete named "Ducky" McMillen walked the halls of NHS. His accomplishments are listed below. The earliest team of Neponset Football can be traced back to as far as 1921, when they defeated Kewanee in a game by the score of 28-7; not bad for beating a school at the least 10x bigger than you. 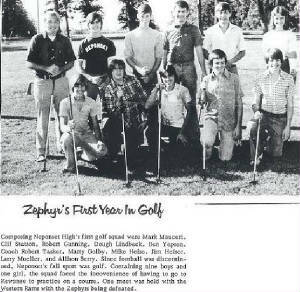 Other years and the records are not known, however the Neponset Zephyrs were competitive in football and faired quite well in some years. The program was discontinued after the 1975-76 school year due to declining numbers. Some of the better records for Neponset HS Football are listed below as researched by Tom Sikorski. Coach Blake's successes were touched on above, however they can never be mentioned enough. Coach Blake left Neponset after coaching the girls basketball program there from 1981 through the 1994 season. He coached several more seasons at Kewanee Wethersfield and Kewanee High, and has 369 wins to date in his career, one of the top accomplishments for all girls basketball coaches in Illinois history. Coach Chuck Blake was inducted into the Illinois Basketball Coach's Association Hall of Fame in 2004! 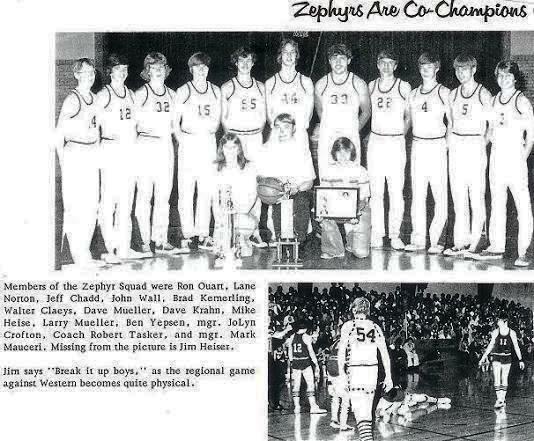 On the boys side one person who sticks out and defined the Zephyr tenacity was Coach Larry Freeman. Coach Freeman coached all sports at Neponset and was a respected man in the community for many years. Assistance is being sought for more information on Coach Freeman. 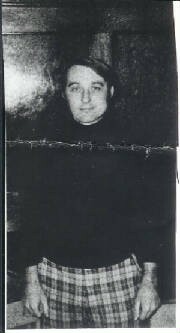 A prominant man of the Neponset community and a well respected coach of the late 1940s and early 1950s. 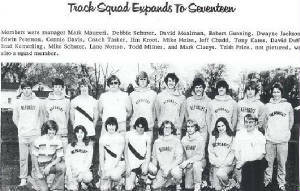 Coached some great NHS teams in 1970s and 1980s. Teachers Carrol Blake Gerrond, Marjorie Clark, John Neil, Mary Ann Block, Vernon Luther (FFA), and Tom Blake are all well known in Neponset High School lore. *Dave Mueller (Class of 1977) - All-Conference / Honorable Mention All-State basketball. Now one of the premier basketball referees in northern Illinois. *Elizabeth L. (Eggleston) Huff (Class of 1897) - Author of "Spoon River Homestead"
*Thomas Gunning (Class of 1899) - Republican Illinois State Senator from 1931-1943, was also a dentist and a member of the Freemasons, Elks and Odd Fellows. "What an awesome website! My days as a Neponset High School Zephyr were some of the best of my life. I pretty much wore nothing but maroon, grey and white during the 1980's. The building had hardwood floors, wooden folding doors, an old balcony, back stairways, a boiler that late at night sounded like a woman screaming and tons of other character. All my life I want to be a Zephyr. Thanks for putting a smile on my face. I also love the music you have chosen. Great Job!" "I graduated from Neponset High in 1993. I will never forget all the great times I had playing basketball. We were all friends and thats what made us such a good team. And I'm so glad we had Chuck Blake as our coach. He and his family did so much for me through out my school years. And ask anyone about running the "HOG JOG"!" If you have any information you would like to share with us regaring Neponset high School please write or e-mail us at the addresses listed below. We are especially interested in photos of the great teams and the high school building itself. NEPONSET, Ill. — John Edwards, the $400-haircut presidential candidate, should drop into Mike Mowbray’s little barber shop the next time he needs a cut. The price is only $1.75. Edwards won’t have any trouble finding Mike’s shop because it is the only one of its kind in this Bureau County town of 500, about 55 miles east of the Quad-Cities. A hand-lettered sign on the wall — hanging alongside a mounted pheasant — states the price. It has been the same for 35 years. Mike’s Barber Shop is the classic small town shop, the kind that is disappearing from rural America — the single barber’s chair, the checked tile floor, the little radio for Cubs’ games, the cross above the white porcelain pedestal sink. Mowbray, 68 and cueball bald, gets a kick out of the two haircuts that cost the Democratic presidential candidate $400 apiece. He said that if Edwards came to his shop, he would be pleased to cut his hair — for $1.75. Mowbray and his wife, Joyce, own the barber shop building, which cost $4,500 in the 1950s. They live in a combination of cozy rooms attached to the shop, and several more upstairs. Donald Wilson of Kewanee is in the chair while Mowbray snips and shears away. There is nonstop small town talk between patrons who wait in a line of leather chairs. They don’t have to wait long. Mowbray’s shop is the home of the 10-minute haircut. Wilson kids Mowbray that sometimes he thinks the price is too high. He dusts the neck of Bob Lewis of Neponset with an old-style soft barber’s brush while another customer stands to step forward. Mowbray doesn’t have to say “next.” Everyone politely knows their turn. The bargain price is not to say that a customer always gets out of the shop for $1.75. Most customers give him $2 and tell him to keep the change.